Christine started to meditate when she was around 6 years old, staring at a Holly Hobby picture on the wall to settle her mind at night. Only decades later did she learn she was practicing Trataka, the meditative practice of gazing at an external object. Perhaps it is no surprise that Christine was naturally drawn to meditation and started practicing again as a way to calm her mind and increase mindfulness in her daily life. As Christine continued to develop her meditation practice, she experienced even more benefits including reduced insomnia, more focus and an increased connectedness with life. She was happier. She was drawn to the practice and wanted to learn as much about meditation as possible. Christine explains “If I can meditate (with my over-active mind) anyone can!” Christine became certified to teach the Simple, Easy, Every Day Meditation (SEED Meditation®) created by Sarah McLean. She also holds a BA in Communications and Business Economics from the University of California, Santa Barbara. Her desire is to teach meditation to individuals or groups looking for a way to improve their well-being through meditation. Her smile grows even larger when teaching people who are new to meditation as she loves the idea of spreading the practice. Christine lives in Orange County with her husband, teenage son and two furry friends, Ruka and Maya. 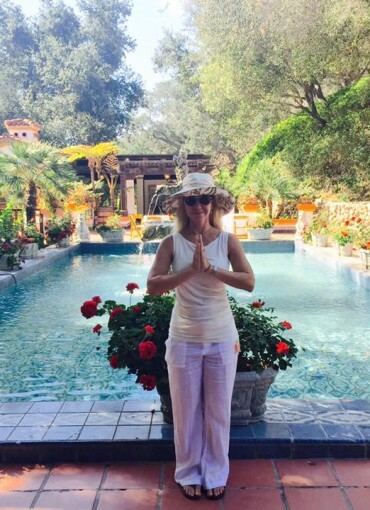 Her interests outside of meditation include hiking, yoga, writing and traveling.